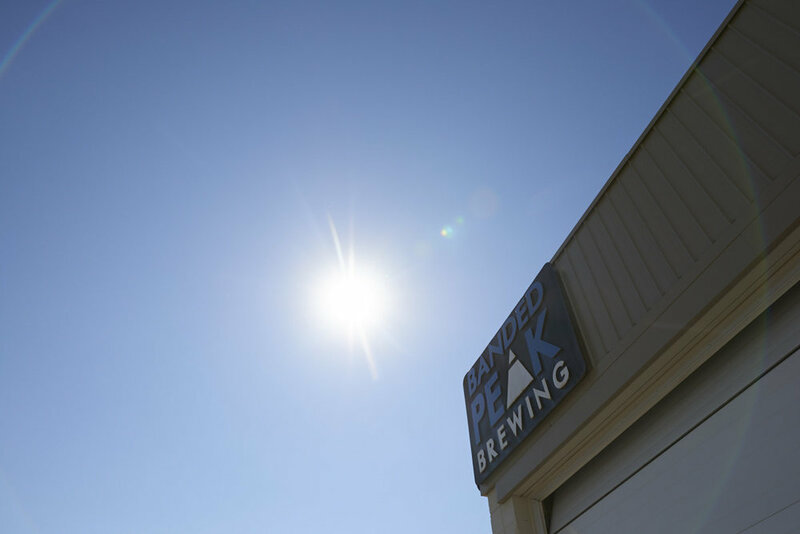 Home — Banded Peak Brewing Co. Proudly crafted for adventure in Calgary. This is a beer that embodies adventure. A departure from the classic IPA, it has a deep red colour from Alberta’s world class barley, balanced by a notorious line up of hops. 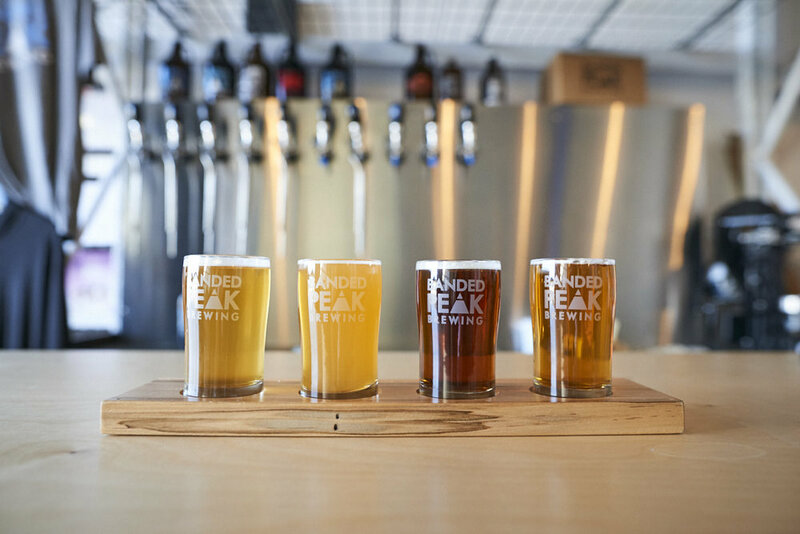 All this packaged in a beer designed for the drinker who has their eyes on the summit. Throughout the winter, southern aspects on mountainous slopes can present uncertain and variable conditions. It also leads to epic lines on bluebird days for those willing to take the risk. 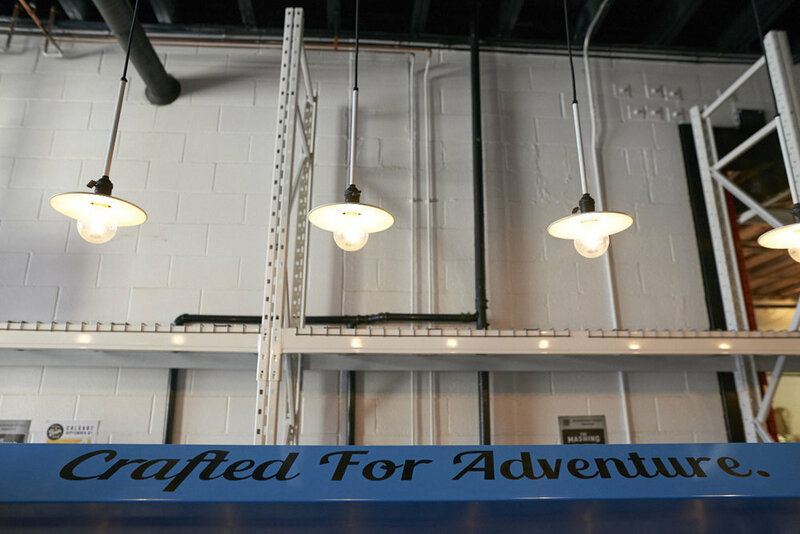 This beer was born out of taking risks and chasing adventure. If last call, first chair is your mantra then this beer is for you. Heaping piles of coffee from local Calgary roaster Rosso, milk sugar and Red Shed malting roasted barley smash together in a turbid melange excellence. Sessionable enough to help you tackle any day off…. Or hit the snooze button again. A vertible snow globe of a brew, this white IPA is built on a foundation of golden grains grown here in Alberta, fermented warm with a house blend of Belgian and American yeasts and double dry hopped with hops plucked from the far-flung vines of Bavaria, Tasmania, Yakima and New Zealand's South Island. The result is a citrusy, spicy, pale gold IPA with a bright, billowy head; a beer for adventurous thinkers and exploratory drinkers. 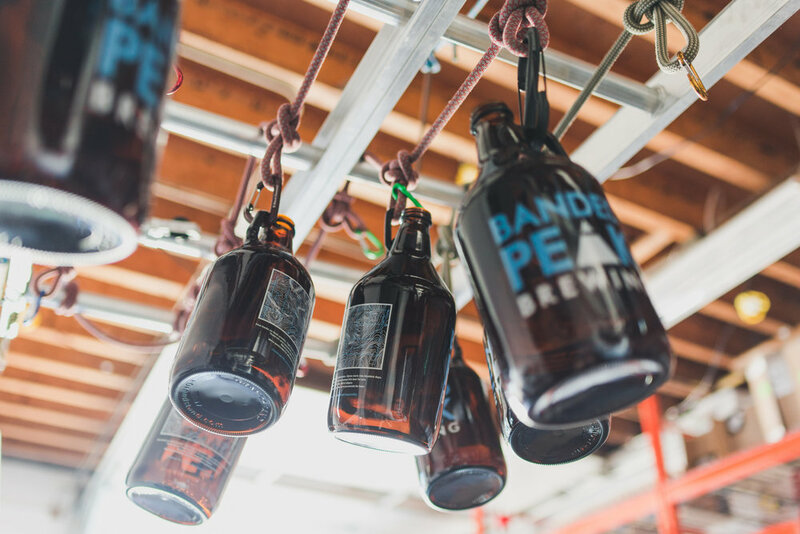 Introducing Batch 500, which as the name implies is the 500th (and 501st) turn of the Banded Peak brewhouse. To mark this milestone we decided to try something a little different and teamed our saison yeast up with a subtle addition of its close cousin Brettanomyces, a strain of yeast a little different from traditional brewers yeast responsible for flavors of fruit and funk. 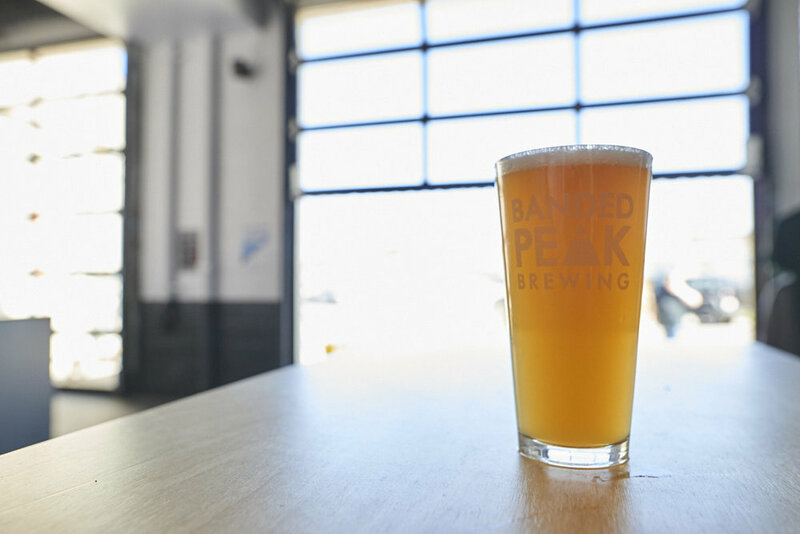 The result is a hazy little hop forward saison chalked full of tropical aromatics and closing on the back-end with more a familiar spicy complexity. Weighing in at an ultra-sessionable 3.8% ABV and super dry, this spring time sud is going to pair perfectly with warmer days and longer nights. Niece of the celebrated American artist Georgia O'Keefe, mountaineering pioneer Georgia "Minor" Engelhard was one of the first women to shirk the restrictive ankle-length skirts customarily worn by female climbers of her day in favour of more practical knickerbockers; allowing her to ascend to new heights throughout the Selkirk and Purcell ranges of the Canadian Rockies. Dark brown and built for adventure, our @pinkbootssociety brew Georgia Minor (5.6%) is named in her honour: boasting bold flavours of dark fruit, biscuit and chocolate. Finished on a generous helping of hazelnuts and vanilla beans, she is as complex as she is decadent! The space was designed to take the secret out of brewing. Feel free to ask any of the folks behind the bar for a tour, the production area is completely open for viewing and we would love to show you around. Pints, growler fills, 1L cans, and flights are all available. If you have any questions please Check our FAQ section by clicking here. If your answer isn’t there please fill out the form below or contact us through social media. Thank you for your support! Updates will be coming soon.